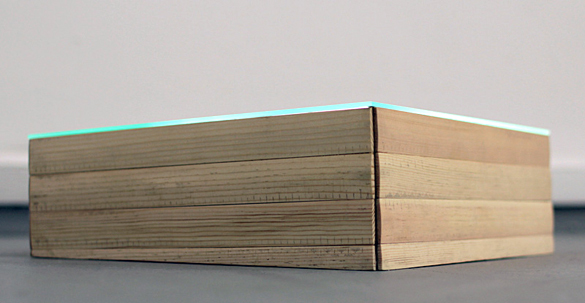 A wooden box with a laser cut mirror inscribed with medical notes. The box is positioned in the corner. 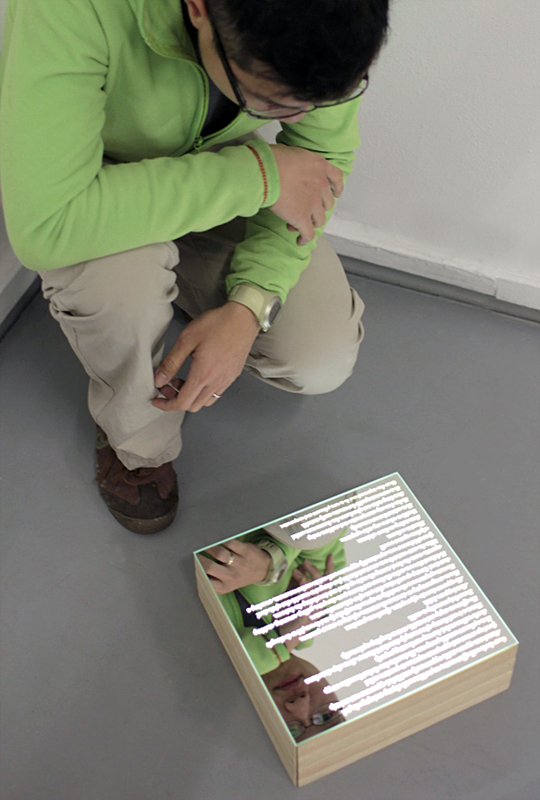 When a viewer moves into the corner a light inside the box activates and illuminates the medical notes. 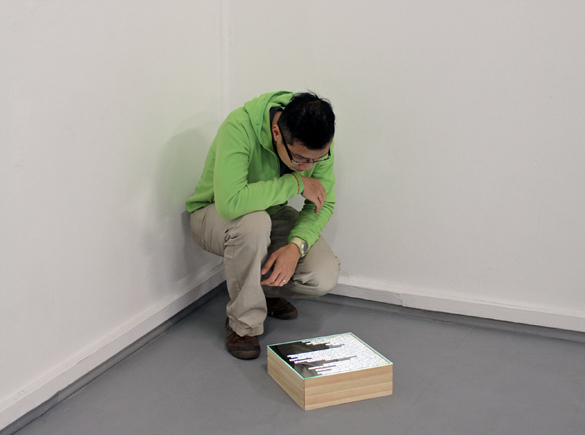 While the viewer reads they see an image of their face in the mirror. 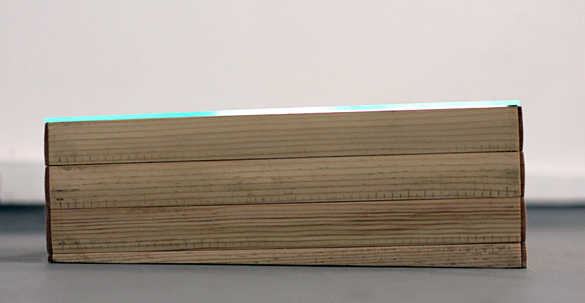 The sides of the box are made from wooden rulers with the measurements erased.